Laureate of national and international competitions, senior teacher of the department of orchestral wind and percussion instruments Saratov State Conservatory named after LV. Sobinova. Graduated from musical academy at the Saratov State Conservatory on trumpet class Honored Artist of the Russian Federation, Professor A.D. Peasant. Received vocational education at the Saratov Conservatory (pipe, class of the Honored Artist of the Russian Federation, Professor AD Selyanin), then in the creative performing postgraduate study at the department orchestral wind and percussion instruments (class Honored Art of the Russian Federation, Professor AD Selyanin). Alexander Danilenko conducts a rich concert activity with a wide geographical coverage. He performed in such cities as Moscow, St. Petersburg, Rostov-on-Don, Astrakhan, Kiev, Makhachkala, Derbent, Volgograd, Yekaterinburg, Nashville, Miami, Budapest, Prague, Seoul, etc. Formation of Danilenko A.P. as a professional artist, he began in the Russian-American Youth Symphony Orchestra, which he performed in New York (Carnegie Hall), Nashville, Miami, Budapest, Prague, Moscow, St. Petersburg. For many years, Alexander Danilenko maintains creative ties with the philharmonic of several cities in Russia. Danilenko A.P. 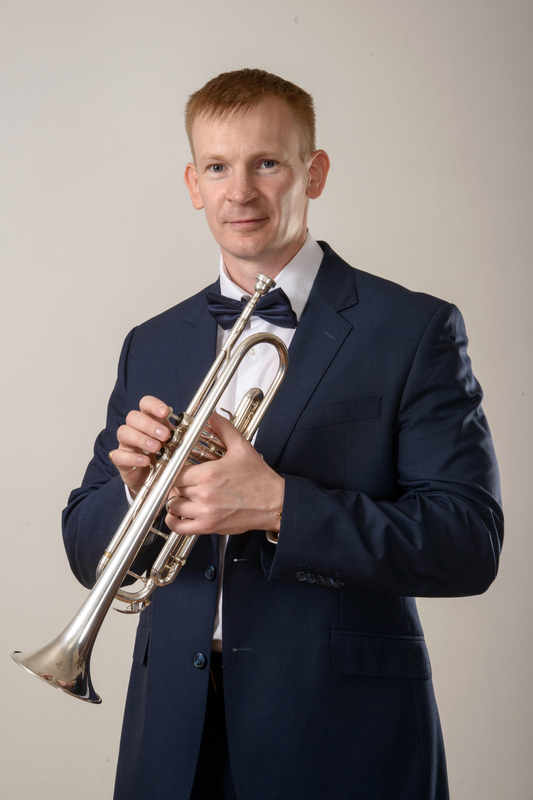 acts as a trumpet soloist as part of the Brandt-Brass instrumental ensemble, which received recognition from the general public for the diversity and originality of the repertoire, the extraordinary ensemble coherence and charisma of young performers. The merit of the collective should also include the popularization of music by Saratov composers both in the city of Saratov and abroad. Actively promoting the spread of professional musical culture among TV viewers, the ensemble has repeatedly participated in innovative musical programs on Saratov television channels. Scientific, research and journalistic work Danilenko A.P. specifically addressed to the problems of culture and arts as well as the competence approach as methodological basis for the improvement of professional education. A number of scientific articles have been published in the key of this subject. In addition to performing and scientific activities, A.P. Danilenko successfully engaged in teaching work in the Saratov State conservatory. Students A.P. Danilenko repeatedly became diplomas and laureates of All-Russian competitions. Graduates A.P. Danilenko. work in brass and symphony orchestras of Saratov, Yaroslavl, Belgorod.